If we get to the Contest Stage we will have exhausted our protests within the system. 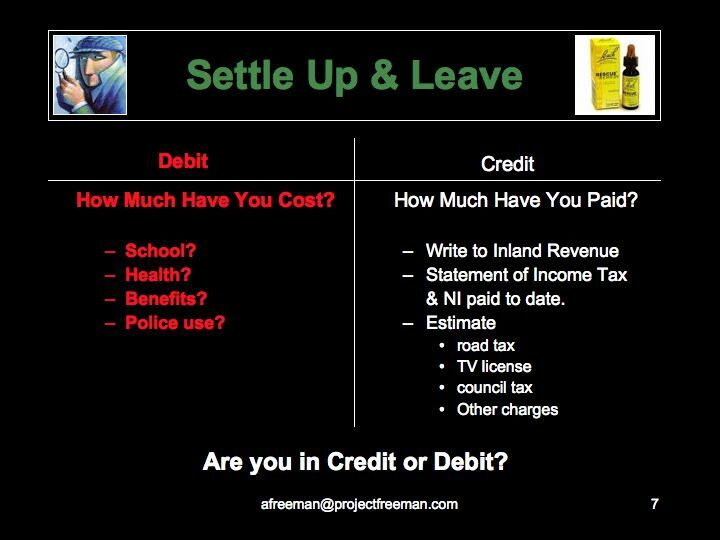 "Settle Up & Leave "
Most of us know roughly how much we pay each month for mortgage, rent, food, bills etc but 'A Freeman' found that very few people (including himself!) knew very accurately how much tax they pay per month, and if asked "how much tax have you paid in your life?" they haven't got a clue. 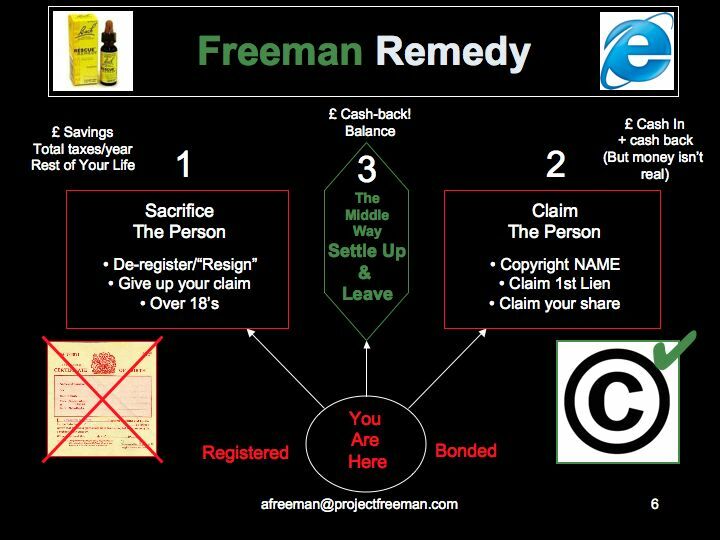 Finally 'A Freeman' sent a notice to HMRC HQ under 'The Freedom of Information Act (2000)' demanding the information (see 'Phase 3B.2' for more details). A reply was eventually received in March 2010, 1 whole year after the initial contact, containing print outs from the HMRC computer with full details of Income Tax and NI paid back to 1979! 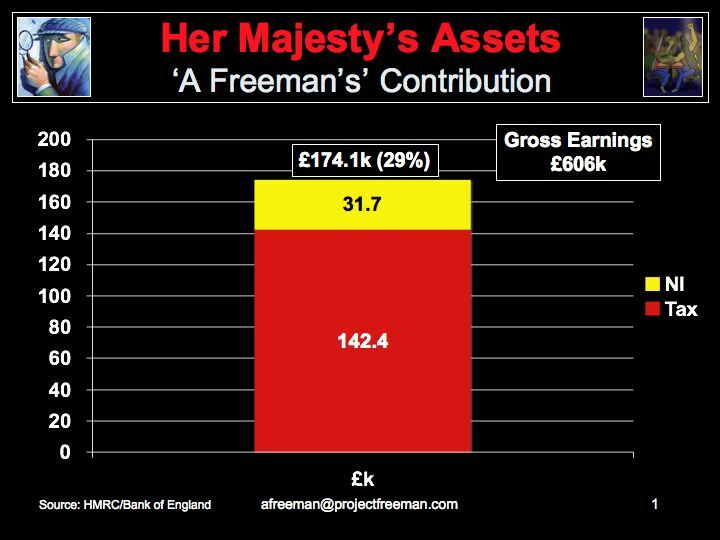 So, a total of £174,000 was taken from 'A Freeman'. The next step was to work what the current value of this contribution had it been invested. Next, the value (based on the phonie money system) of 'The UK' territory was calculated. 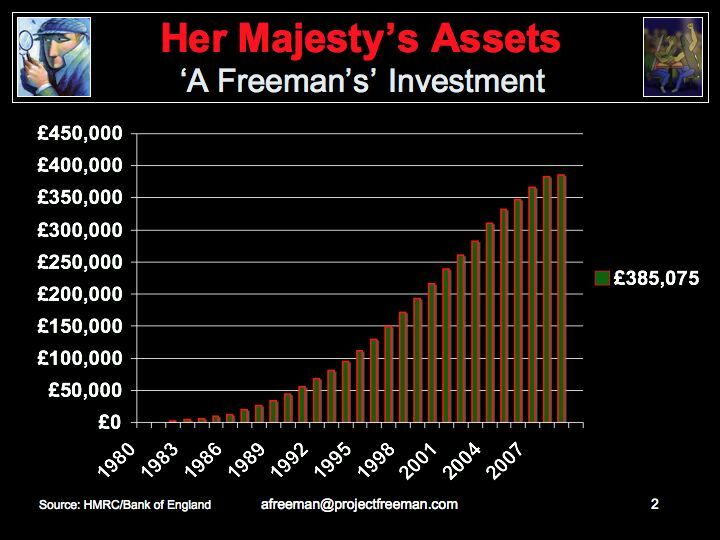 The UK assets figure is taken from HM Treasury's "Blue Book" which is accessible via the internet from the HM Treasury web site. 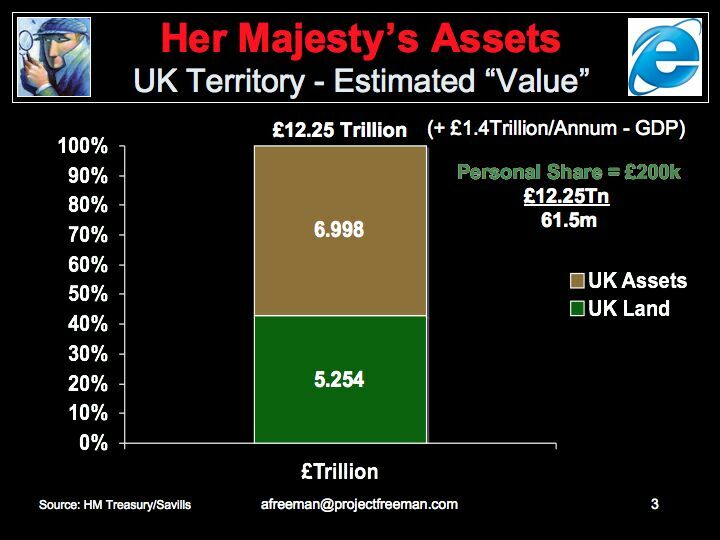 This shows the estimated value of ALL 'Her Majesty's' assets ('public' buildings, infrastructure, housing etc) in the territory to be around £7trillion. Again the estimate of the land value is very conservative and at £5.3Trillion is actually less than the estimated value of the assets built upon it! 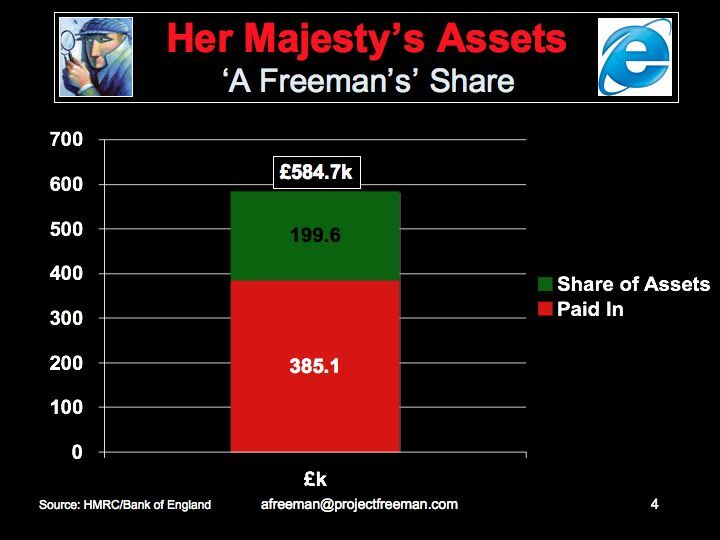 If this project fully reaches the 'Con-Test' stage and 'A Freeman' de-registers his Legal Fiction this is the amount (less costs) that he will be claiming from 'Her Majesty' when he "Settles Up & Leaves"
Do you know what your 'Dummy Share Account' is worth? The first 4 steps of the 'Settle Up & Leave' option have been thoroughly researched as you can see above. However, due to learning from Stage B - the Protest Stage - the rest of this Stage has been shelved.